I took this for World Pinhole Day, one of several I shot in San Juan Capistrano. Mission walls bored me quickly, so I sought out the tracks by the station and waited for one of the many late afternoon trains to pass. I stood about five feet back, but inside the crossing gate. 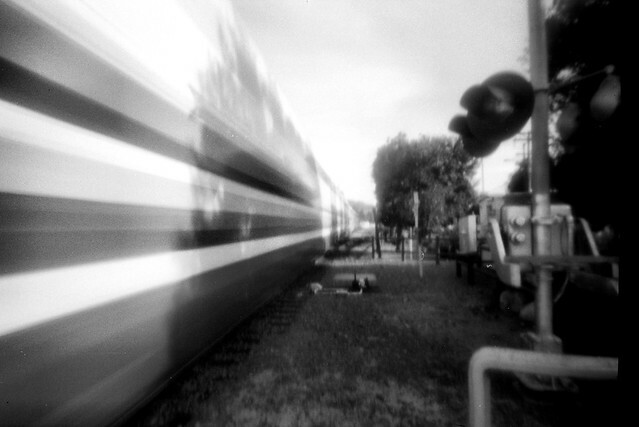 Posted in Motion Blur, P-Sharan STD 35, Pinhole, San Juan Capistrano Tagged Amtrak, analog, film, Ilford Delta, railroad, train.